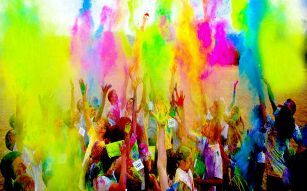 Color Me Rad to Benefit Special Olympics! The Color Me Rad 5k is coming to the Omaha area at the Mid-America Center on Sunday, July 8 – and it promises to be a RAD event! Instead of running FROM something, brave participants will be running FOR something – Special Olympics, that is! Hundreds of white t-shirt clad runners will “Chase the Rainbow” as they endure an onslaught of rainbow paint hurdled by eager members of the Color Bomb Squad awaiting at every turn! Proceeds from the race will benefit Special Olympics. Races begin at 9:00 am, with 4 waves of runners taking off in 5 minute intervals. Leading the waves of runners will be local Special Olympics athletes. For more event information, visit Special Olympics Nebraska’s Facebook page or www.colormerad.com.